This week we have quite the parade of celebs from varying levels of success and influence: models, monarchy, film producers, actresses who never need to work again because they had one successful CBS series, etc. We've of course brought them all together for a single purpose: ogling their bags. But I honestly don't think we've ever featured the Queen on PB. Her bags are great, but also ever-unchanging. If you decided to carry a single style for the bulk of your career, what would it be? 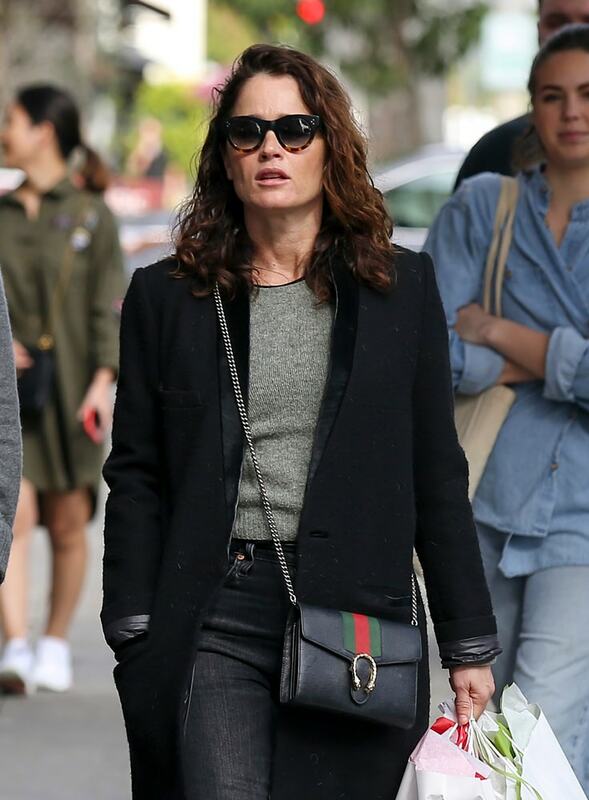 Robin Tunney was spotted doing a little shopping in LA with a Gucci Dionysus Bag. Here's a blurry snap of Bella Hadid carrying a customized Dior Booktote while out with her boyfriend, The Weeknd. Model Jocelyn Chew wore this Fendi Double F Mini Bag to the Fanatics Super Bowl Party. Lily Allen arrived at the Sydney airport sporting a rainbow-hued Burberry Belt Bag. She's also pushing around a piece of Supreme luggage and wearing those shearling-lined Birkenstock Arizona sandals. Here's Alison Brie, dodging the snow at The Lego Movie 2 premiere in NYC with a white, mock croc By Far Mini Bag. 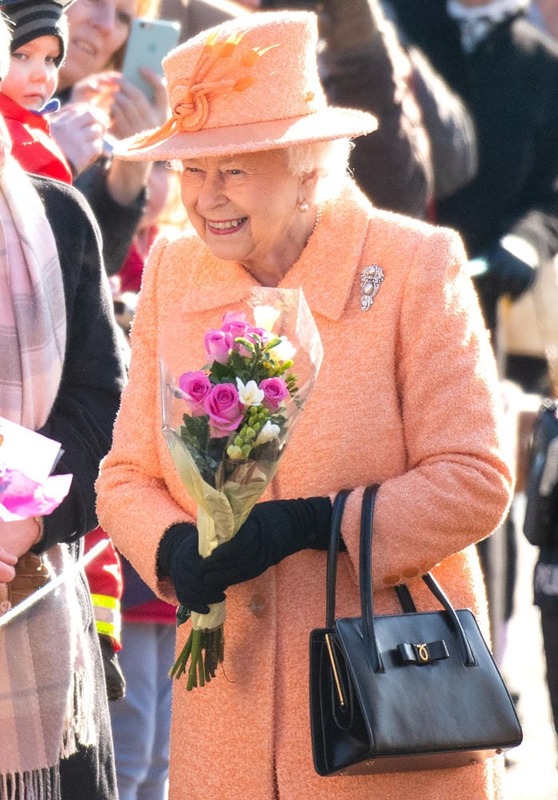 Her majesty the Queen attends church in West Newton with a Launer Traviata Bag. 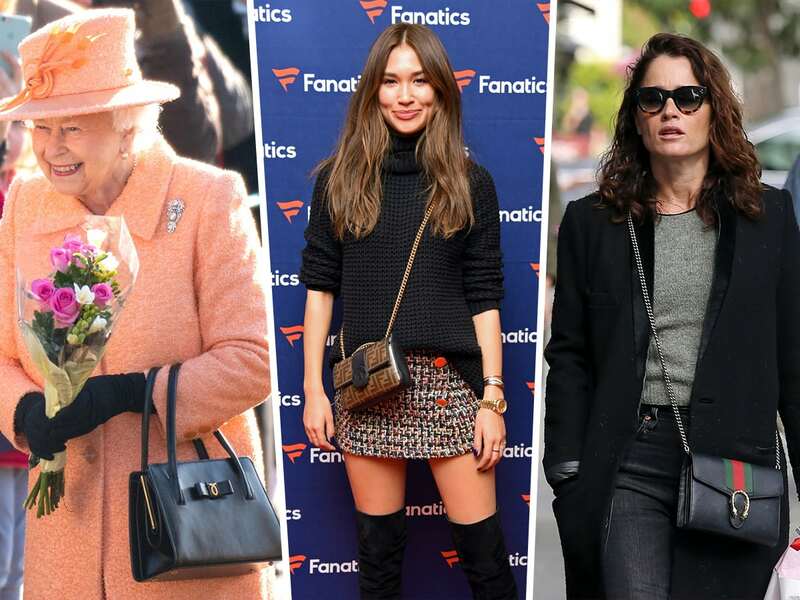 The Traviata has been Queen Elizabeth's go-to handbag for decades, and many of the Traviatas she owns are bespoke. Switching gears, here's Noah Cyrus, outside of Delilah Nightclub in West Hollywood with a flashy mystery bag. The graphics are very Balenciaga, but the shape and straps aren't right at all. Ideas? 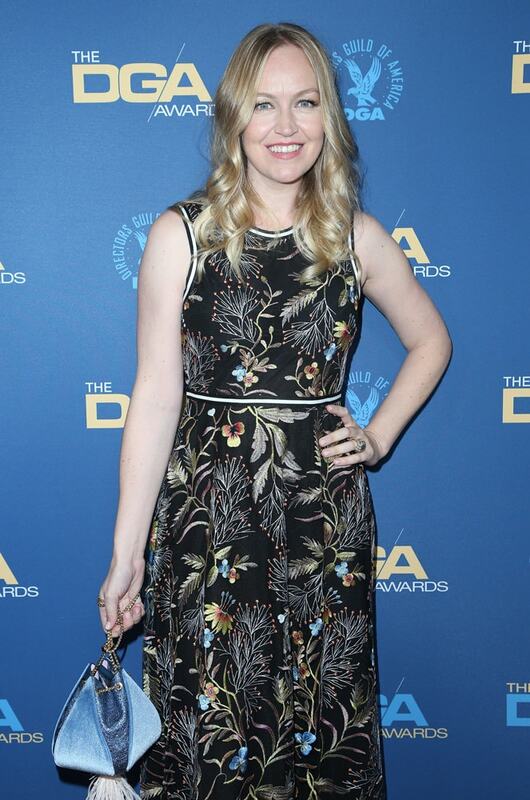 Finally, we have film producer Lynette Howell, carrying a blue velvet Volon Cindy Bag to the 71st Annual Directors Guild Of America Awards.